Currently ThankYou Points earned on the Citi Prestige® Card and Citi ThankYou® Premier Card can be transferred to 12 types of airline miles or Hilton points. 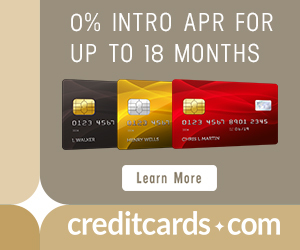 Right now both the Citi Prestige® Card and Citi ThankYou® Premier Card are offering huge sign up bonuses after spending $4,000 in the first three months. You can get both like 8+ days apart for 86,000+ ThankYou Points. I got both, including the Prestige last month, and I expect to have a sizable balance of ThankYou Points shortly. While I love Singapore Airlines, Air France, and Virgin Atlantic as transfer partners for awards, I don’t see value in the other partners. I’d love for ThankYou Points to add more partners, as they’ve done frequently over the past year. The pipe dream would be adding United, Delta, or Alaska Airlines as partners, but all three have strong relationships with other banks that makes their additions extremely unlikely. Instead of dreaming, I’ve made a realistic list of three partners I’d like to see ThankYou Points add. American and Citi already have a strong partnership. 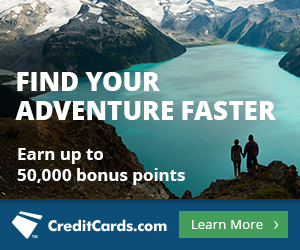 Citi issues both the Citi® / AAdvantage® Platinum Select® MasterCard® and CitiBusiness® / AAdvantage® Platinum Select® World MasterCard®, which each offer 50,000 bonus miles after spending $3,000 in the first three months. I’d love for 1,000 ThankYou Points to transfer to 1,000 AAdvantage miles, but if money is an insurmountable issue, I’d accept a lower exchange rate like 1,000 points to 900 or 800 miles if that’s the best Citi could offer us. The major category bonuses like 3x on gas on the Premier would still make these transfers a good deal very often. American Airlines miles are the most valuable miles in the world. They’re great for economy awards–especially American’s unique off peak awards–and for the fanciest First Class in the world. Here’s 10 Awesome Ways to Use American Airlines miles. Adding American Airlines as a partner of ThankYou Points would increase my valuation of ThankYou Points from 1.8 to 2.0 cents each. 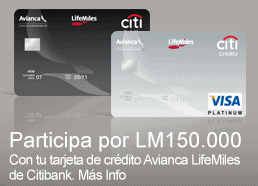 I’d love to see Citi leverage its ties with Avianca to forge a deal whereby 1,000 ThankYou Points transferred to 1,000 LifeMiles. LifeMiles are the second best Star Alliance miles in the world behind United. 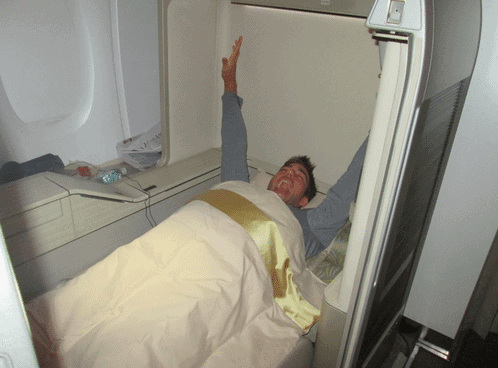 LifeMiles can be used for awards on all 27 Star Alliance members with no fuel surcharges. ThankYou Points’ current partner in the Star Alliance–Singapore Airlines–levies fuel surcharges on almost all Star Alliance partner flights. Beyond never adding fuel surcharges, LifeMiles can be used at a fair rate for Business and First Class awards, usually much cheaper prices than United would charge for the same partner awards. For instance from Los Angeles to Seoul in First Class on the Asiana A380, United would charge 120,000 miles one way, and LifeMiles would charge only 90,000. A ThankYou Points-LifeMiles partnership would open up ultra-luxury options within the Star Alliance to folks with LifeMiles and economy redemptions on airlines other than United without fuel surcharges. This would be a coup for ThankYou Points. I’d increase my valuation of ThankYou Points from 1.8 to 1.85 cents. Avios are a transfer partner of Ultimate Rewards, Membership Rewards, and Starpoints. Clearly British Airways doesn’t mind inking new deals. British Airways Avios don’t appear to be too expensive for the banks to purchase either, since American Express runs frequent transfer bonuses from Membership Rewards. Right now ThankYou Points have a good transfer partner in the Star Alliance (Singapore) and in SkyTeam (Air France Flying Blue), but all the partners in oneworld are terrible. Avios aren’t perfect, but they are the best miles for short, direct, economy awards with partners that don’t have fuel surcharges on their flights. See Avios Basics for why Avios are best for those types of flights. A ThankYou Points-Avios partnership would open up great award options to Hawaii, within the continental United States, within Australia, within Europe, and to a ton more places. This would be a coup for ThankYou Points. I’d increase my valuation of ThankYou Points from 1.8 to 1.85 cents. Right now both the Citi Prestige® Card and Citi ThankYou® Premier Card are offering a huge sign up bonus after spending $4,000 in the first three months. If they could be transferred to American Airlines miles, Avianca LifeMiles, and British Airways Avios, I’d up that valuation to 2 cents each. For various reasons, I think American Airlines, Avianca, and British Airways are realistic additions Citi could make to the program. Will American Airlines, Avianca, or British Airways be added as transfer partners? What realistic transfer partners would you like to see added to ThankYou Points? Do you think adding JAL Mileage Bank would be realistic? Hard to say. That is an SPG partner, so they are clearly willing to deal with transferable points. Looking at the current ThankYou partners, 6 are partners of neither UR or MR (JAL falls into this category), so it is possible. Why do you want JAL? JAL has a decent distance-based award chart that allows for one-ways, up to 7 stopovers (only 3 in Europe), and booking up to 330 days in advance. No fuel surcharges on AB/HG/LA or AA/US (traveling the Americas). Being able to top-up a JAL Mileage Bank account could be helpful as well, due to the lack of strong earning categories on the SPG cards. i would like them to add lufthansa miles & more… that’d be awesome. That would be nice. Neither MR nor UR has that partner, but SPG does. There are currently 6 ThankYou Partners that fit that profile (Eva, Garuda, Qatar, Thai, Malaysia, and Qantas.) Why do you want Lufthansa? because i want to be able to book JFK-FRA-JNB in F well in advance. the YQ doesn’t bother me, i think it’s still worth it. 2) BA has established relationships for their US (Chase) and UK (Amex) cards, hence why they have them as transfer partners. Starwood is a hotel transfer partner that happens to have strong mileage earning through a CC, so it is not the same as Citi would be. I didn’t know about the AMEX Avios UK card. Thanks for the info. How about Copa? Their ConnectMiles program hasn’t been formally introduced yet, but their award charts look promising within the Americas (15K to Northern South America), and they will still be a part of Star Alliance. Earning by flying looks good too, but I don’t know if “a mile flown is a mile earned” will apply to United flights. I haven’t checked into that program yet, since it hasn’t started yet. I am looking forward to it.